Long before the US intervention in Iraq it was clear that the major point of American interest towards this country were its natural resources since Washington has always been striving to gain control over the better part of oil and gas rich countries in the region. According to OPEC the territory of Iraq contained over 112 billion barrels (bbl) of proven reserves back 2003 coming second it the world’s ranking after Saudi Arabia with 261 billion bbl of proven reserves. Today Iraq retains its position in the world ranking. According to Iraqi experts next year’s foreign investments in the development of the oil infrastructure will hit 30 billion dollars. 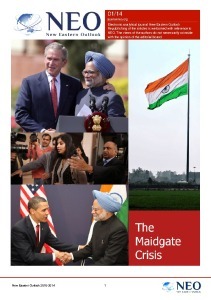 Baghdad needs those since the oil exports money are the driving force of the country’s economy. Foreign investment in the development of the fuel and energy complex is necessary for Baghdad since the export of hydrocarbons is the driving force for the economic modernisation of the country. In terms of the oil production volume, Iraq currently takes second position after Saudi Arabia amongst members of the Organisation of the Petroleum Exporting Countries (OPEC). According to Iraqi experts, the future annual investment in the state’s oil infrastructure is forecast to be 30 billion dollars. There could be quite a constructive discussion with representatives of the Kurdish business elite regarding the future use of not only oil, but also gas resources, which are abundant in the region as well. So far, Iraqi Kurdistan has been supplying only oil, but now there are large-scale preparations for the extraction and export of gas. At the moment, Kurdistan’s gas reserves are estimated at 2.83 trillion cubic metres of gas, which constitutes approximately 90% of all gas reserves in Iraq. It is noteworthy that the world’s production of this raw material has been recently growing quite rapidly, with the average annual increase of 3–4%. It seems that this trend will continue in the future. The most substantial contribution to the global natural gas market should be expected, due to its growing extraction and export, from the Near and Middle East, including Iraqi Kurdistan, for three main reasons. Firstly, because of the sizeable fuel reserves. Secondly, because of the close location to the main buying markets. Thirdly, due to the quite low cost. The Austrian energy company of OMV and Hungary’s MOL have already signed agreements on the purchase of 20% of shares (10% each) of Pearl Petroleum Company, which owns two projects for the development of the Kurdish deposits of Khor Mor and Chemchemal. By 2015, these deposits are projected to be generating up to 85 million cubic metres of gas per day. It is obvious that a certain part of this gas will be used to meet the energy needs of Kurdistan itself, whilst the rest of it will be exported. 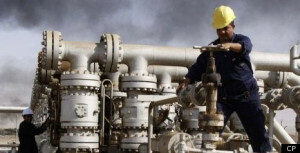 Iraq, in general, and Kurdistan, in particular, are in need of the development of the gas industry as an independent part of the fuel and energy complex. In this connection, the establishment of seamless supplies of this raw material to European countries would serve for the Kurdish side as an excellent basis for achieving this goal. Moreover, the favourably located natural gas reserves can well become a valuable asset for European countries in their strategy aimed at the diversification of the sources of energy supplies. It is obvious that the emergence of such a competitor is contrary to the interests of Russia’s Gazprom, which supplies three quarters of its exports to the European market. However, the Russian company’s path to achieving its ambitious plans may get more complicated by the construction of a pipeline to Europe through the territory of Iran, Iraq and Syria. 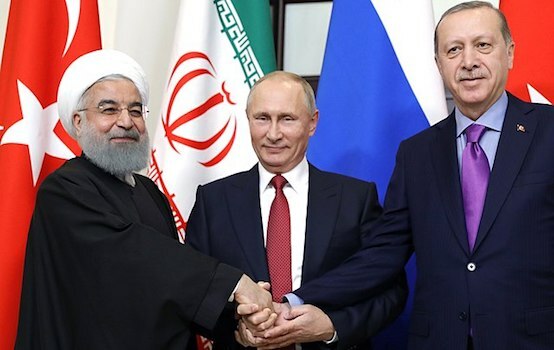 Firstly, this is being done to put pressure on Turkey in order to force it into signing a transit agreement and rejecting its policy of reselling Iranian gas. Secondly, this type of route will help to curb the enthusiasm of the Turks, who are trying really hard to turn Ankara into some kind of regulator of gas supplies to Europe, not to mention their political ambitions to become the region’s leader. Being a member of the UN Security Council, Turkey is represented in almost all European organisations, except for the EU, the negotiations on the entry to which it continues to maintain. The above-mentioned project is quite promising since European countries are showing genuine interest in the north of Iraq, which is rich in hydrocarbons. A vivid evidence of that has been the strategic agreement on energy partnership signed by the EU and Iraq. Under this document, the parties intend to strengthen cooperation in a number of areas, including energy security, the development of natural gas fields and the development of renewable energy sources. Some time ago, the then EU Commissioner for Energy Andris Piebalgs described Iraq as a key link in energy supplies to the EU and pointed out that this country is soon to become an important supplier of natural gas and to serve as an energy bridge connecting the Middle East, the Mediterranean Sea and Europe. Besides, the export of “blue fuel” from Iraq will help, to some extent, reduce the dependence of the EU on Russia. Nevertheless, the possible gas transit through the three Middle Eastern states to Europe is not as worrying for Russia as it might seem at a glance. Russian experts are convinced that this gas pipeline is unlikely to be built in the medium term because gas production is still an underdeveloped industry in Syria and Iraq. Moreover, the political situation in these states is highly unstable.